A famous Korean classic with a bit of a kick! This is simply quite delicious and so, so easy to make. 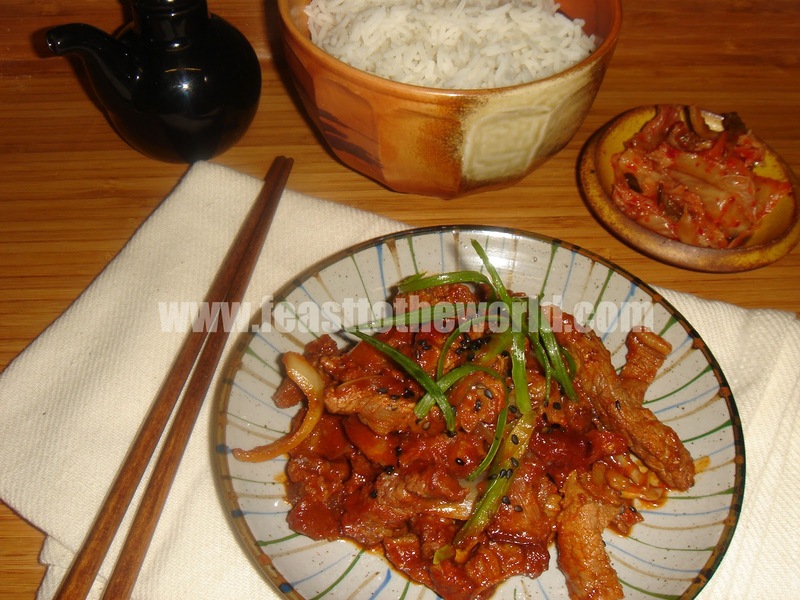 If you have been following my blog, you will remember the I have cooked a pork version of this previously. 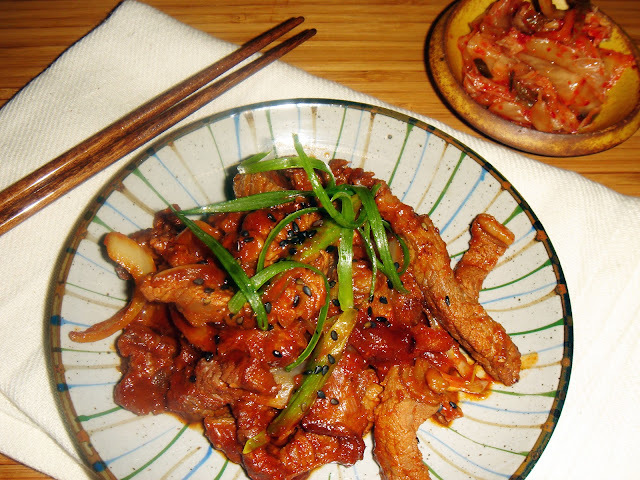 The original bulgogi does not contain any gochujang(Korean chill paste) in the marinade but instead are served on the side for diners to help themselves to. The diners would wrap the beef in a piece lettuce, spooned over some of the chill paste and then devoured this sweet, succulent barbecue/grilled tender beef. 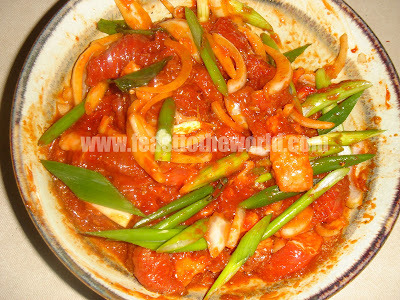 I have used the gochujang in this recipe because as a Singaporean, I do like my food spicy. So if you are fond of hot and spicy food like me, then this is absolutely essential, as is the kimchi. Every authentic Korean meal must be accompanied by one. In a large bowl, combine all the marinade ingredients. 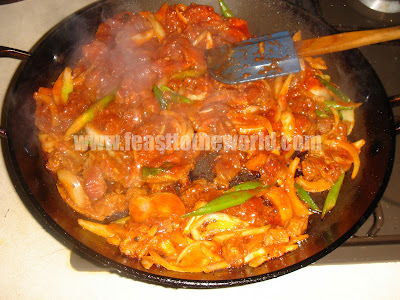 Add the beef, onions and spring onions and mix well. Leave to marinate for at least 1 hour. When ready to cook, heat up a large frying pan over high heat with a drizzle of oil. When smoking, add the beef and pan fry for 7-8 minutes, until cook and slightly caramelised (Do not to overcrowd the pan or the meat will stewed and become tough instead of pan fried, do this in batches if necessary). Serves garnish with a sprinkle of toasted sesame seeds and spring onions with freshly steamed rice and some kimchi (Korean fermented vegetables) if you like. I love bulgogi - it's one of the few Korean dishes I've made. I still need to have a go at kimchi though to make a really authentic meal.